This beautifully written article was kindly emailed to us by Martina Venneman, a longtime supporter, who travelled from Galway to be at our launch. These are her words. 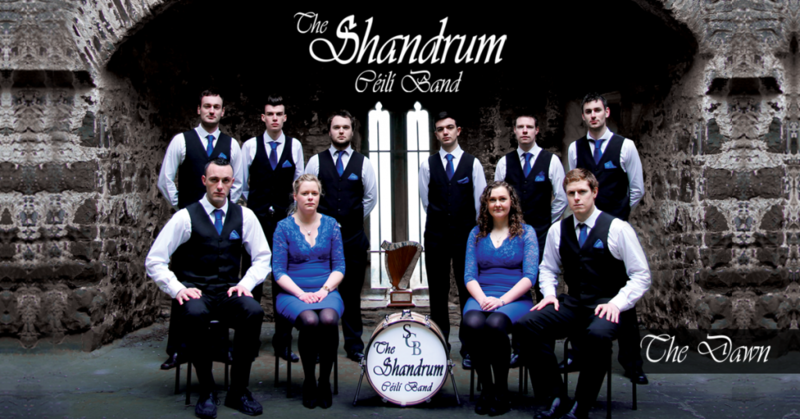 On Saturday 6th May, The Shandrum Céilí Band launched their first album with a free concert in the beautiful St. Mary’s Church in Buttevant. 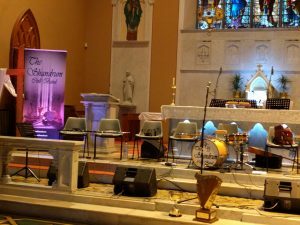 The capacity crowd had begun to file in an hour before the gig was to start, and by 8:30pm every available seat in the church was filled by family, friends and supporters from near and far. After a warm and heartfelt introduction by Fr. Baker, and much applause from the estimated 300-strong crowd gently packed into the church pews and upper balconies, the 10 members of the band took their places and set off with reels played at a spectacular speed and with marvellous energy, with the depth of sound and tight musicianship we are accustomed to from this band immediately apparent from the first note. We were treated to many sets of tunes during the concert, and a variety of rhythms including polkas, jigs and reels, as well as quadrilles and marches. With the backdrop of the enormous and beautiful intricate stained-glass church window, we heard many of the wonderful tracks from their album “The Dawn“. 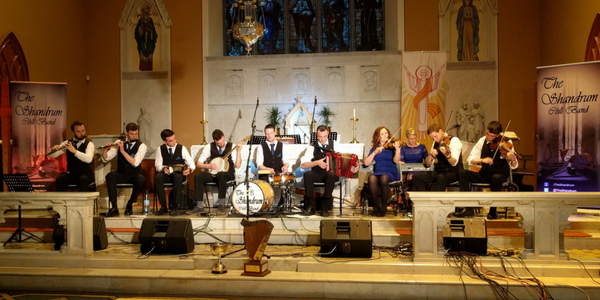 Over the course of the concert band member Timmy Collins explained the background to the band name, the history of this All-Ireland winning band, the composers of the tunes, and introduced the 10 band members. Band leader Alan Finn has written comprehensive sleeve notes for each track on the album, detailing the origin of the tunes including a set of Quadrilles which were perhaps less familiar to the audience but equally uplifting and well-received, and met with the same rapturous applause that erupted at the end of every set. These Quadrilles come from a manuscript compiled in the early 20th century by John ‘Boss’ Murphy from the local Churchtown area. The enthusiasm of the audience often compelled Timmy to pause and wait for the applause to recede before introducing the next part of the concert. As well as hearing numerous wonderful and lively tunes, played with the delicacy and precision of delivery familiar to fans of the band, the programme also included excellent performances by the Boherbue junior set-dancers, and young sean-nós dancer Cian Broderick (the lady beside me commented in awe “he must have the fastest feet in Ireland!”). One of the highlights of the concert was a song performed by John Naughton, father of band member Ger Naughton who plays drums, but who played bouzouki as part of the wonderful accompaniment by the band to John’s tender rendition of “Red is the Rose”. 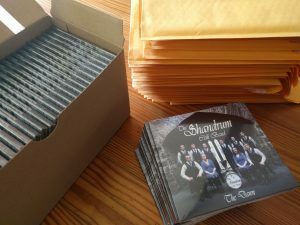 The Dawn CD is now heading to every corner of the globe. At one point, a group of 5 young fiddle players joined the band, and added the richness of harmonies to a set of waltzes. The audience could be seen swaying gently from side to side, perhaps cast under a spell by the beautiful music and arrangement. After a deserved standing ovation, the band played an encore of reels, and a moving version of Amhrán na bhFiann to finish the evening on a complete and rousing note! It was a wonderful, inspiring concert, showcasing the dedication and exceptional talent of this group of hard working musicians. The quality and energy of their music is successfully captured on “The Dawn“. Lovely review Martina, love to have been there. Got the cd on Sunday in ennis,great stuff. Tom.